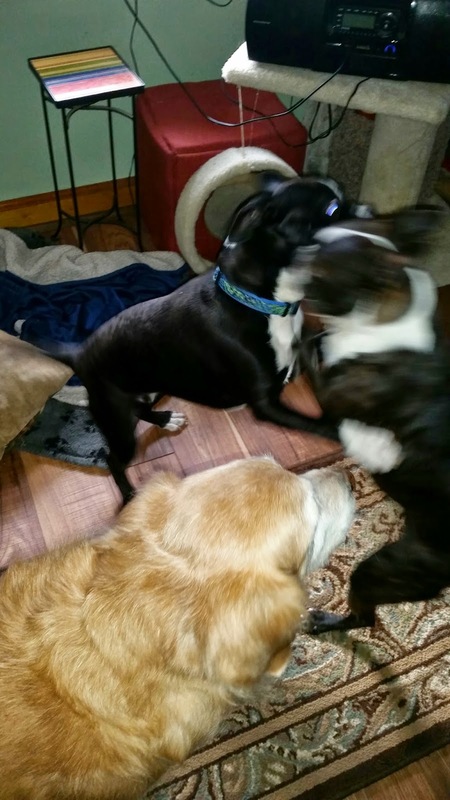 Sully is having so much fun with his foster brothers! Chili, Pepper, and Walter White showing off their new NEBTR sign. Uhhh, Ma, Ori is in my new bed!!!! Me (Pangya), Lily, Haley, Kahlua and Bombay the Kitty~cooking and entertaining for 20 peeps was exhausting. . How was your Easter? WISHLISTS ARE BACK UP AND RUNNING! As you may have noticed, Amazon wish lists have been down due to a glitch in their system for the past week. We have a number of new fosters who are really needing some essentials to get them through. I am going to post a few of the lists here together. 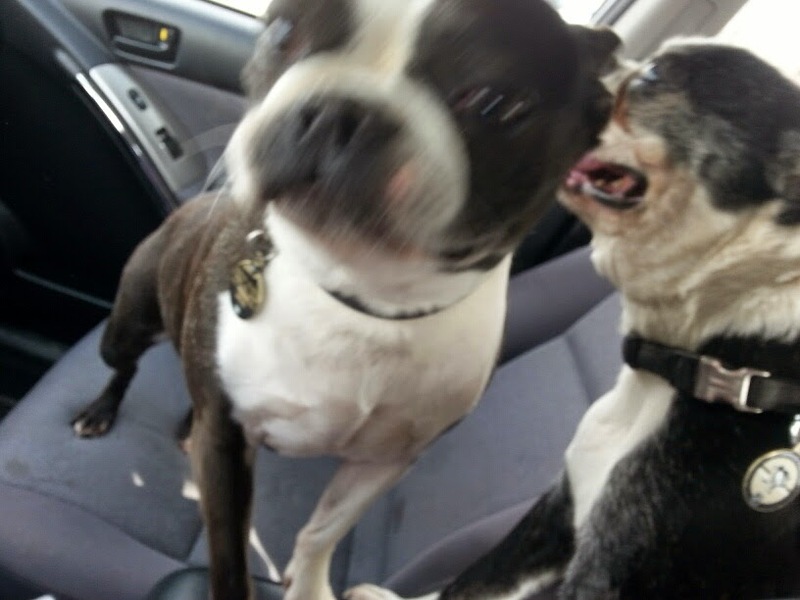 If you can spare a few bucks, I know these pups would be super grateful to receive some trinkets of love. We will be posting pictures of them with their gifts and thank-you notes as they arrive!!! Thank you so much for always supporting our pups when they need it the most. These wishlist items really lift their spirits. 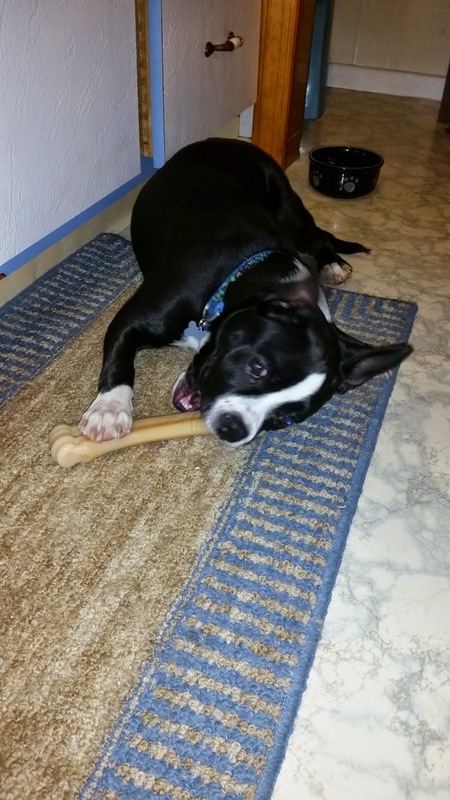 Some of our dogs have never had a bone to call their own. They get so excited when their foster moms start opening the Amazon boxes and pulling out treats and toys and gear for them! 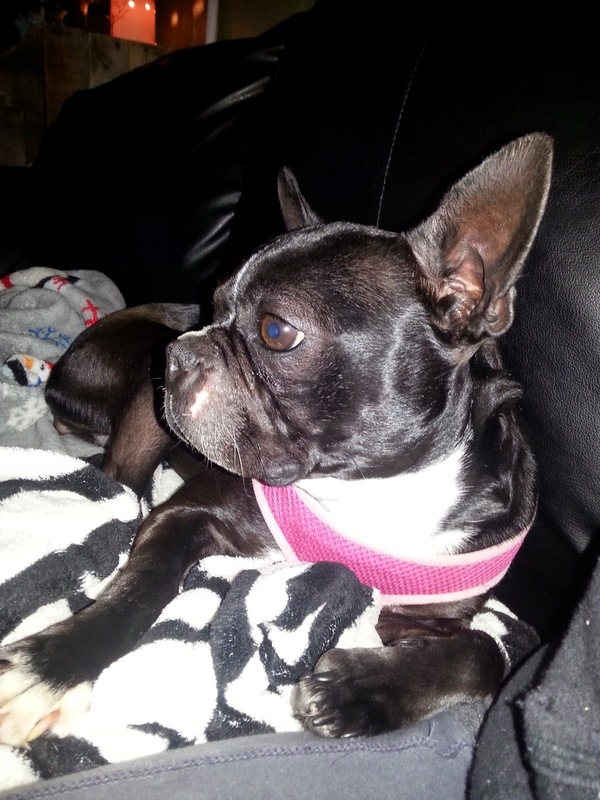 Please welcome Barley to the NEBTR family! 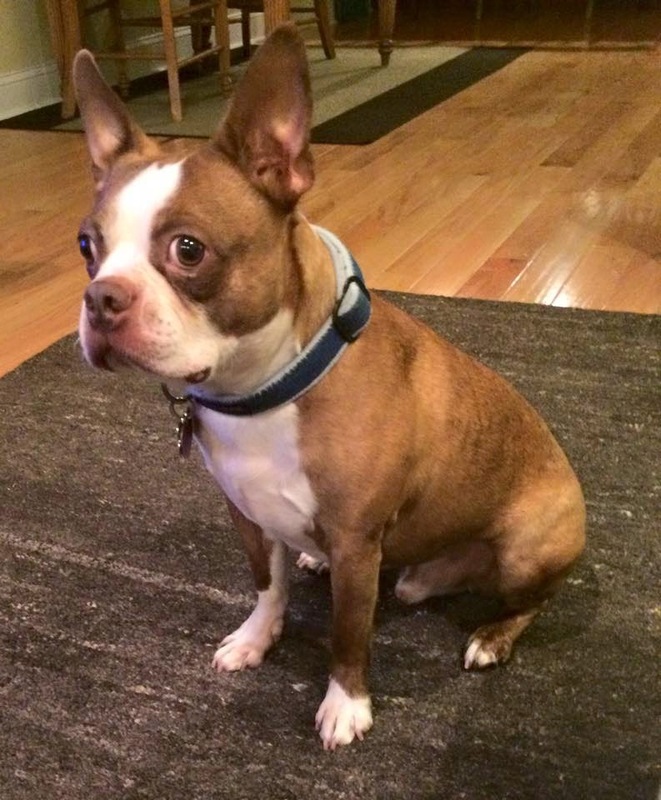 Barley is a 4 year old handsome red boy. Stay tuned for more updates as we get to know him! Add my thanks for Zeke’s Easter basket. He really enjoyed the cookies. The hard chews will have to wait ‘til after his dental. 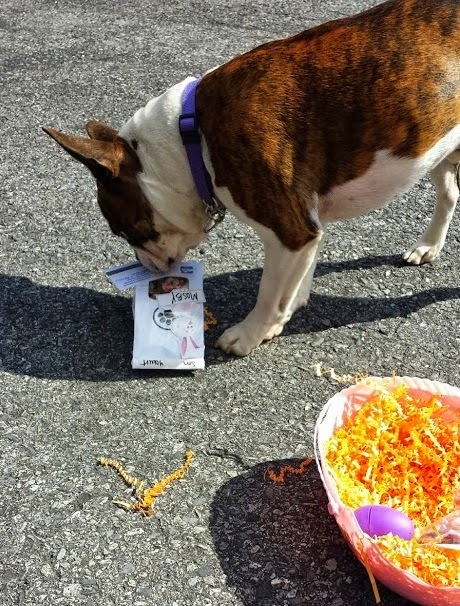 Flo devoured her Easter basket! smell and digging for special treats. 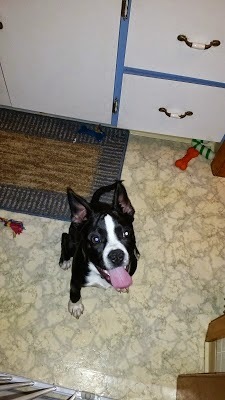 Foster Mosby says "woof wo​of woof"
An update on Mosby, he's being a really good boy and listening to all the rules! He loves to play and go for walks! 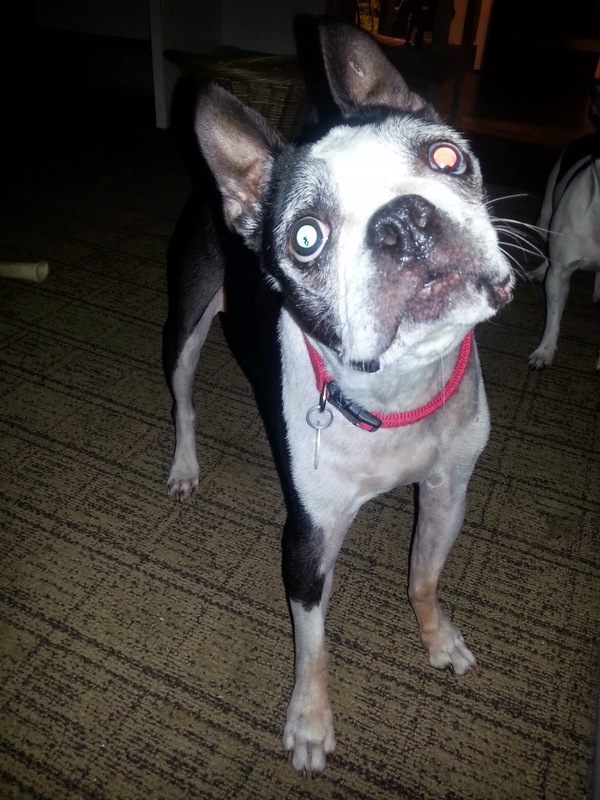 He is currently being fostered in Allentown, PA and is looking for a forever home near by to make his transition successful! Molly wasn't giving into that nap so easily. 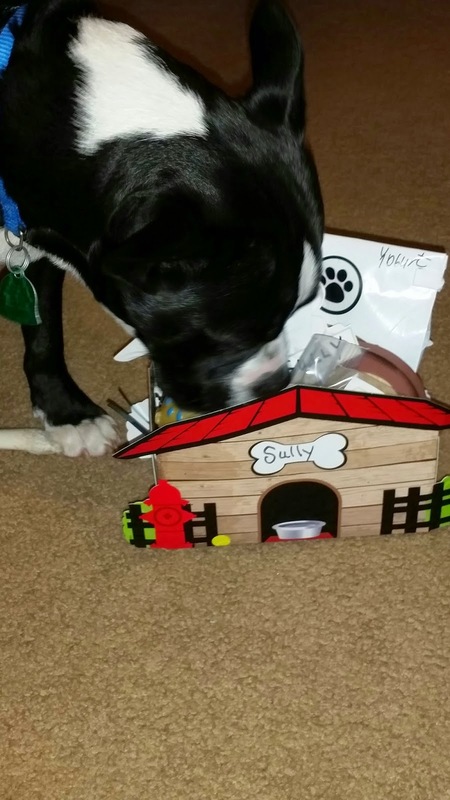 Thanks Stacie for sending Sully the toys and chews! 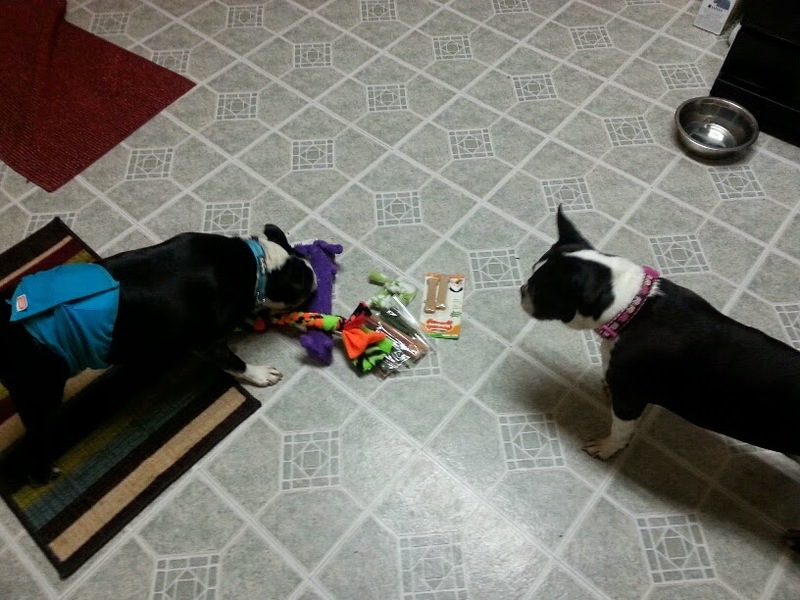 Gigi and Reese got their welcome package today. Gigi actually played with some of the toys. Wow. That girl has been a tough but to crack. Thank you NEBTR they love them. 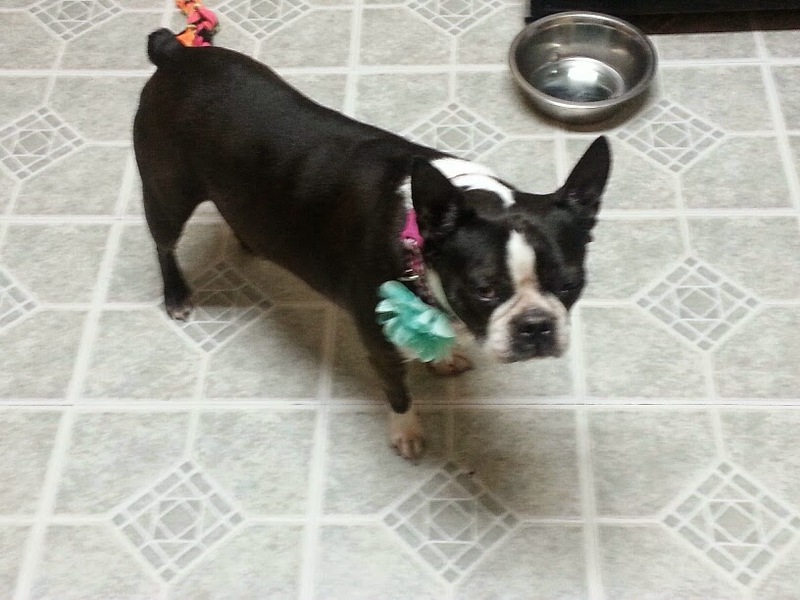 Patsy came from an Amish puppy mill. She's 1 &1/2 & is sweet as pie. She wants nothing but Love & attention & crinkles up her nose when she gets excited. She has no idea how to play yet but we're working on it. 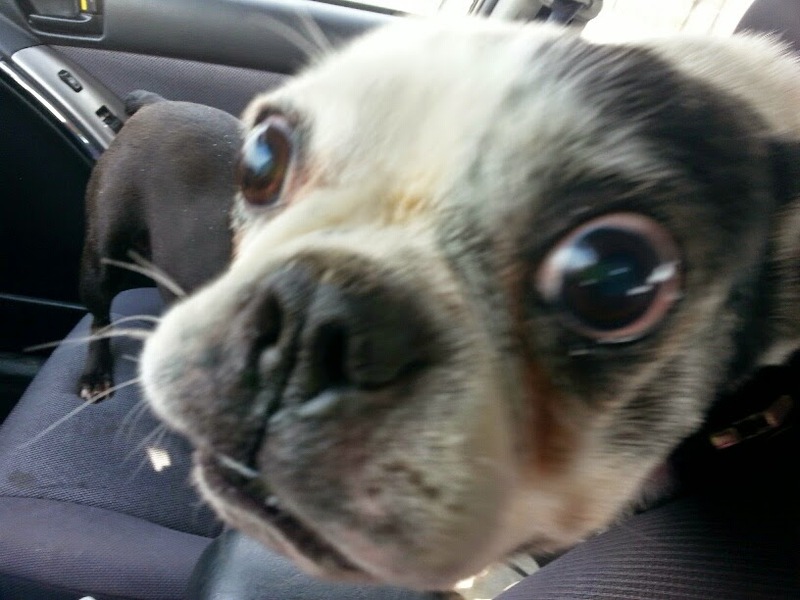 She was terrified to go outside the first few days I had her but is now excited to go out. 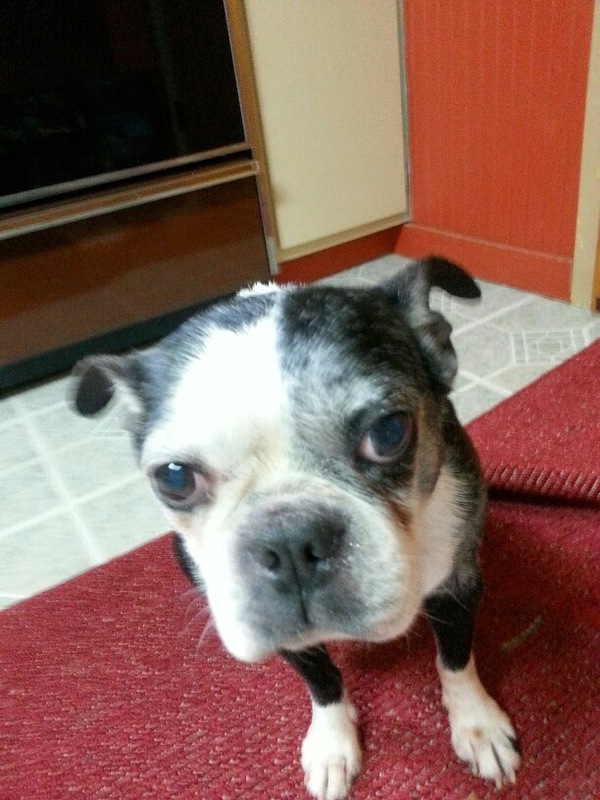 Gidget is a 13 year old girl. 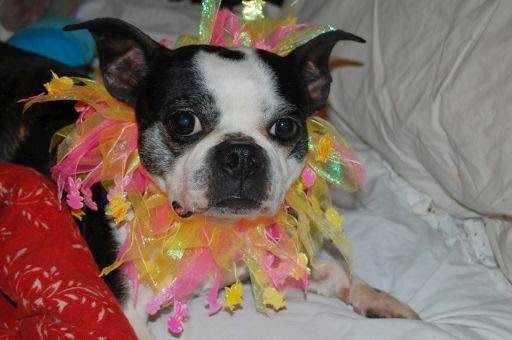 Gidget does not act her age. 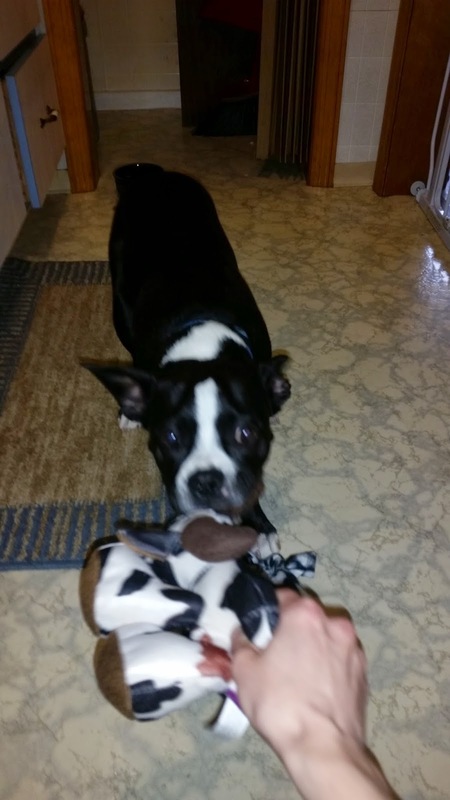 She loves to play tug of war with my dogs & loves to play fetch. She has a few medical issue but they don't slow her down at all. She's such a lover & fits in so well with my family. Rosemary Leone Pendergast I'm not sure who is more fortunate, Tank or our family. He is a bundle of furry love! Thank you NEBTR and Carolyn McCarthy for uniting us! Love, love, love this little guy!! 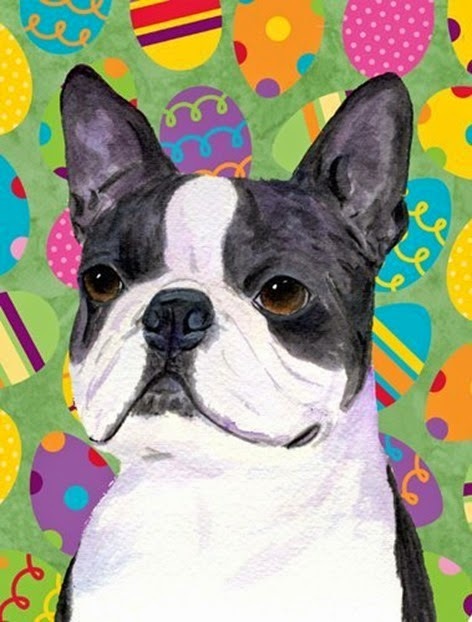 Happy Easter From Deborah Pace's Monty! We adopted our precious Joy Joy on August 5th, 2011. It is with deep sadness that I write this to let you know that she passed away on Saturday, April 4th. She had been diagnosed with brain cancer on March 21st and we were told she did not have much time. We were so thankful to have been a part of her life even though it wasn't as long as we had wished. 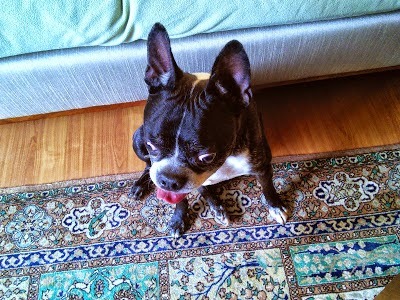 We are forever grateful to Northeast Boston Terrier rescue for allowing us to have that time with her. 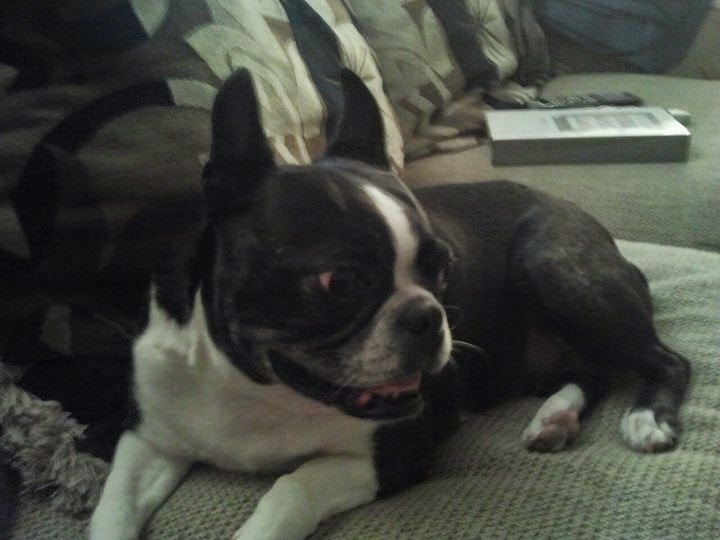 She was such a loving and wonderful part of our family and she will be deeply missed. Our deepest sympathy to Michelle and family, and our thanks for taking such loving care of Joy Joy. I adopted Marley in April 2013. He is the best companion anyone could hope for. 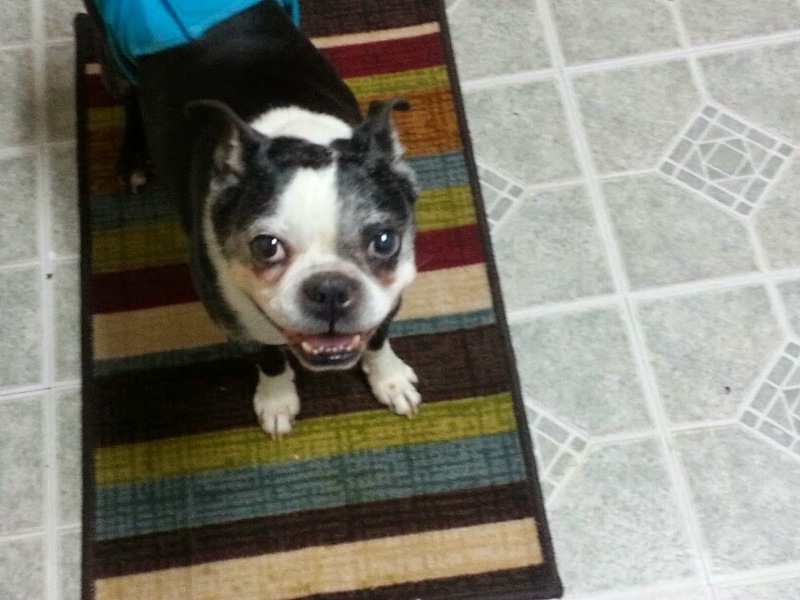 He is around 9yrs old and still so spunky and fun. 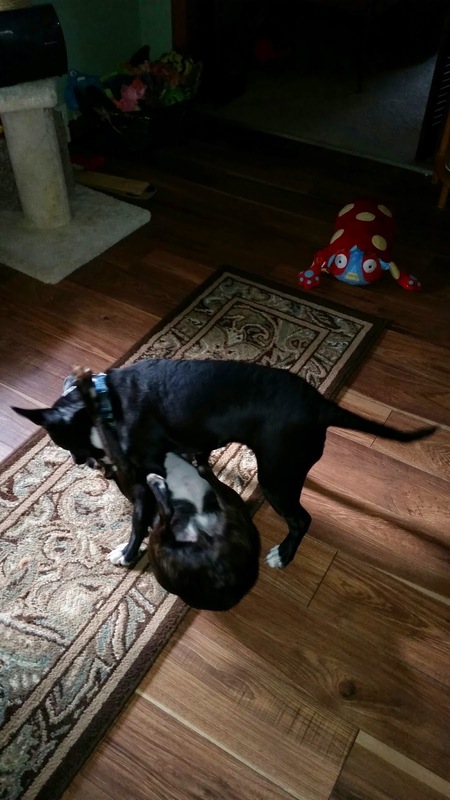 He now has a pug for a sister. She came to us when her family couldn't keep her when they moved. 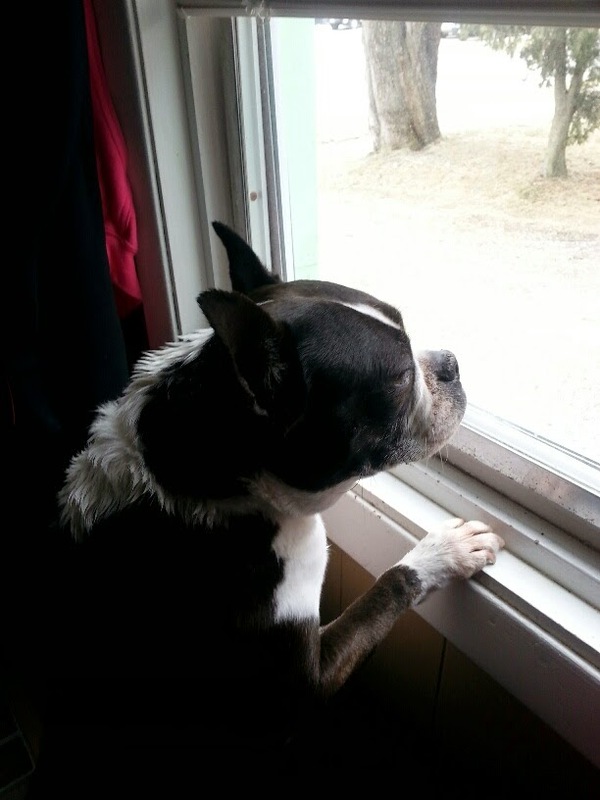 I long for another Boston but will have to wait. We have 2 cats as well so that is my limit unfortunately! My heart would take more but my pocketbook says no! 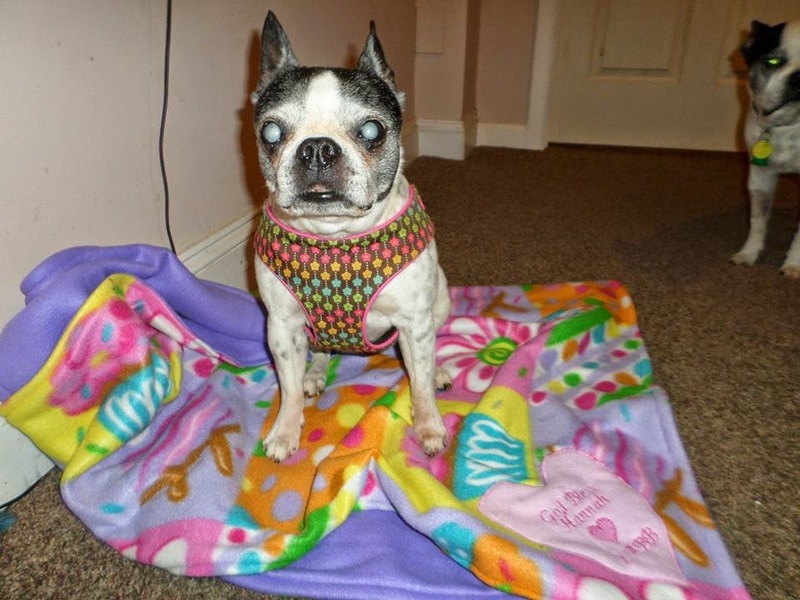 Thank you for all you do and Connie, Markey's foster mom is the best! 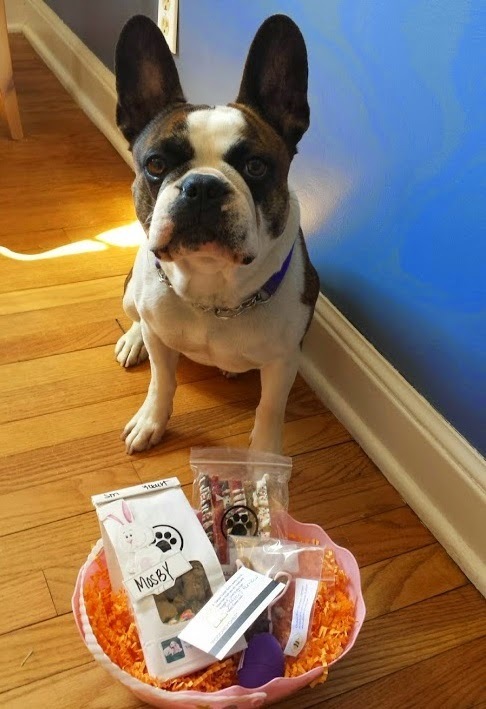 Mackster is so happy, the big bunny sent him a nice gift for Easter, he is so happy to have all these nice Poocheychef goodies from Diane and Darren Eggerman, baked by Chris Schezzini. Mackster says " I made my foster mom promise to save all of them for me; the pint size pest doesn't want to share her toys, so I'm following her ethics when it comes to my treats. 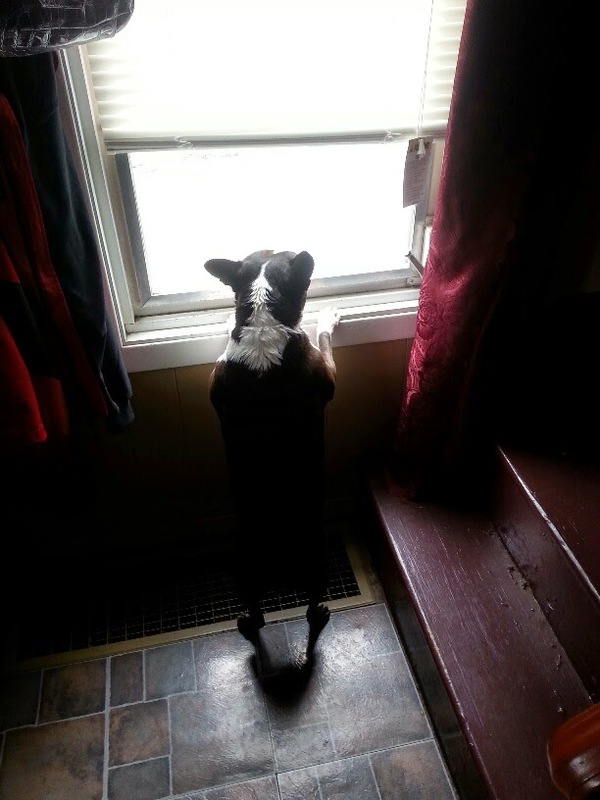 As a precaution, Mom is making sure Abigail is outside, antagonizing the chipmunks, when I get my munchies." Thanks so much, Diane and Darren, for including Mackster in the holiday celebrations and Chris for baking these nice treats. Hello everyone. 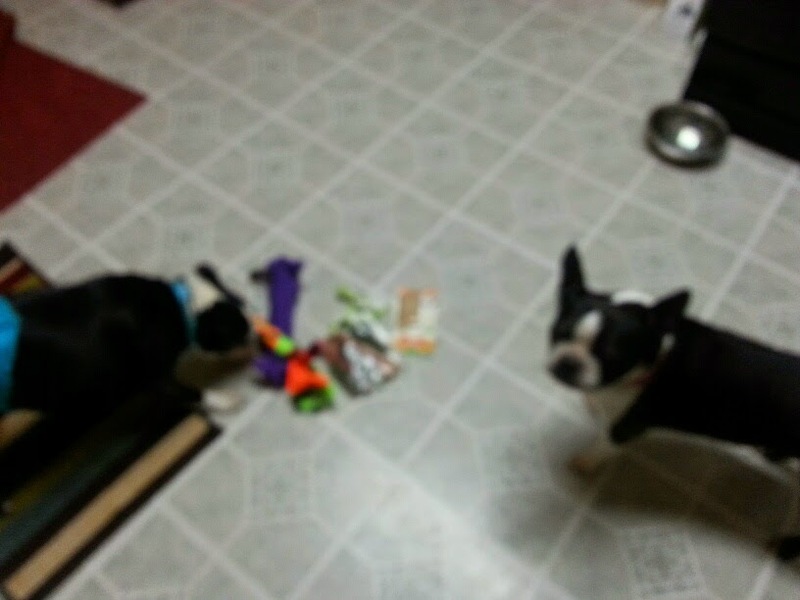 Winston and Daisy here to say thank you to our lovely and generous friends who sent us easter baskets (our foster momma made us wait until easter weekend to open them...what a mean mommy to make us wait like that! But it's okay belly rubs will make everything better) We feel so loved and thankful to have supporters like you! Thank you so much to Bethany Marsella & Susie Gervais for thinking of us! 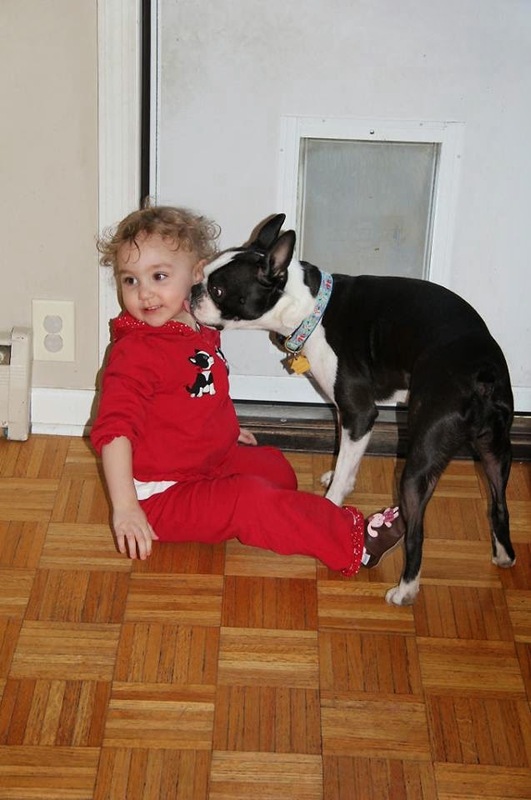 We're sending you many puppy kisses your way! 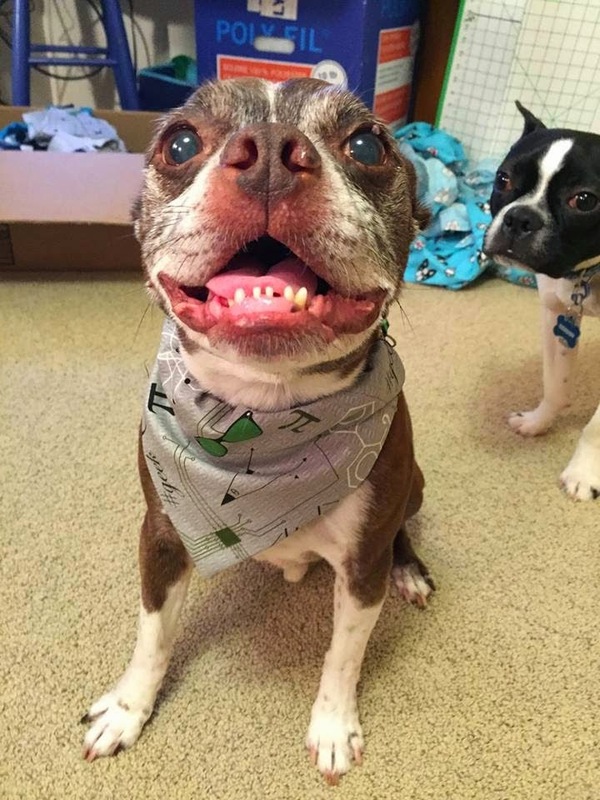 Meet Snorting with Style's newest foster...Walter White! This print has been chosen in honor of him. 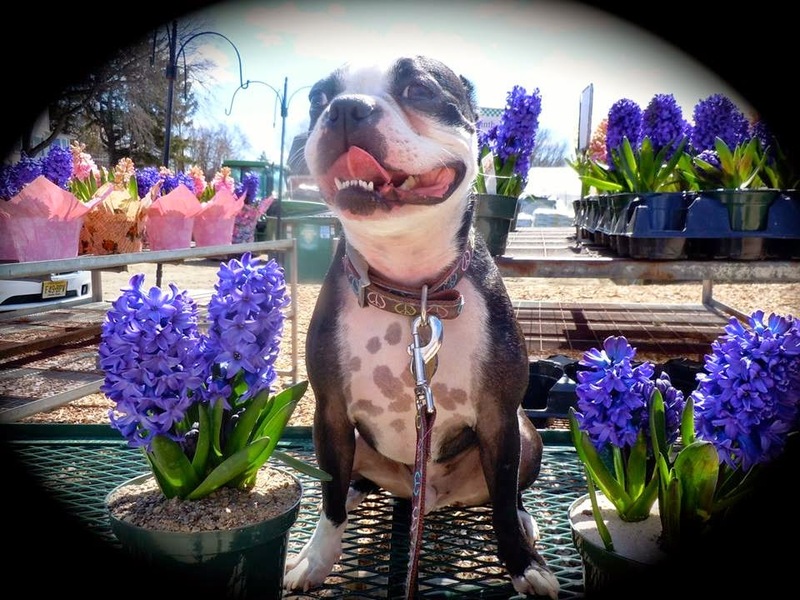 75% of the sales of this specific print will be donated to Northeast Boston Terrier Rescue!! 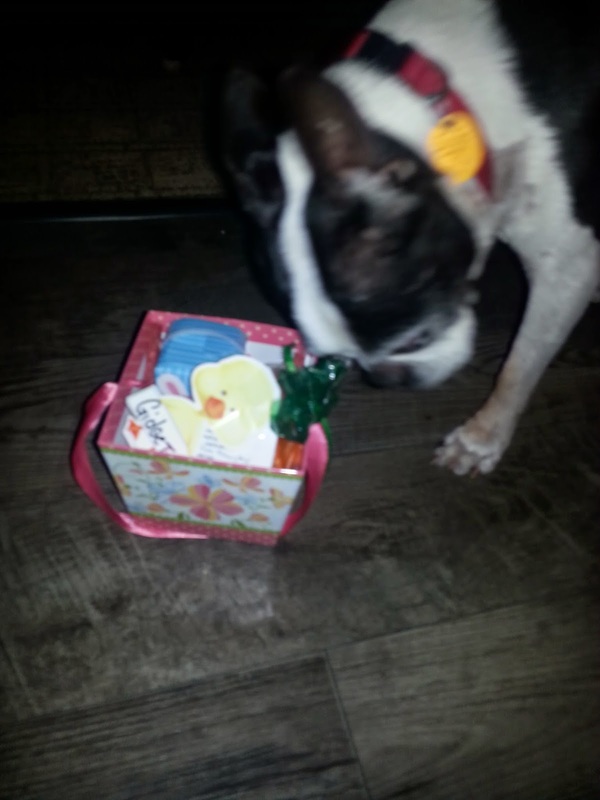 Leo Says a big thank you to Courtney Smith for the Easter basket. He was a good boy and sat and waited while he got his picture taken. He liked those Poochy Chef yogurt covered sticks the best! 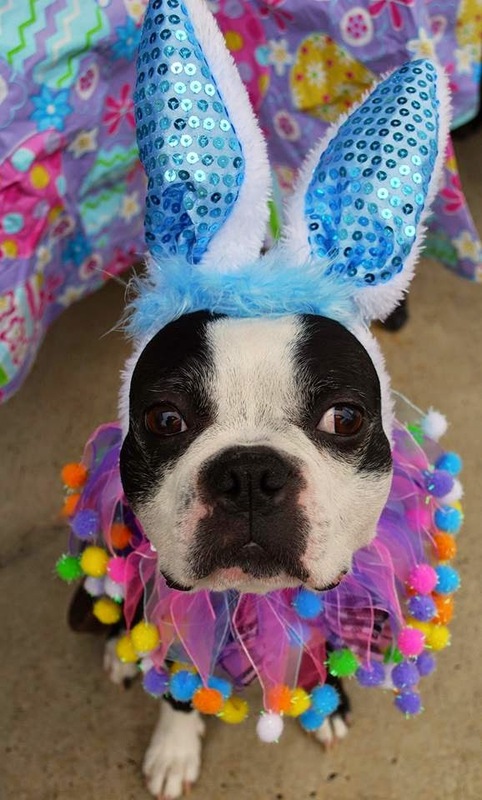 It was his best Easter ever! 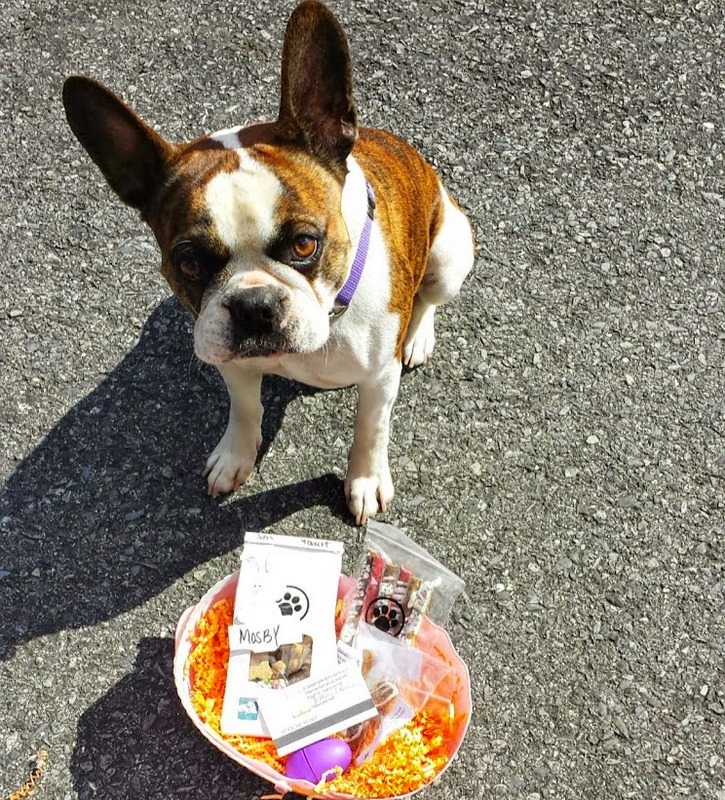 Yoda wants to thank ANNE COUGHLINfor all the Easter goodies! 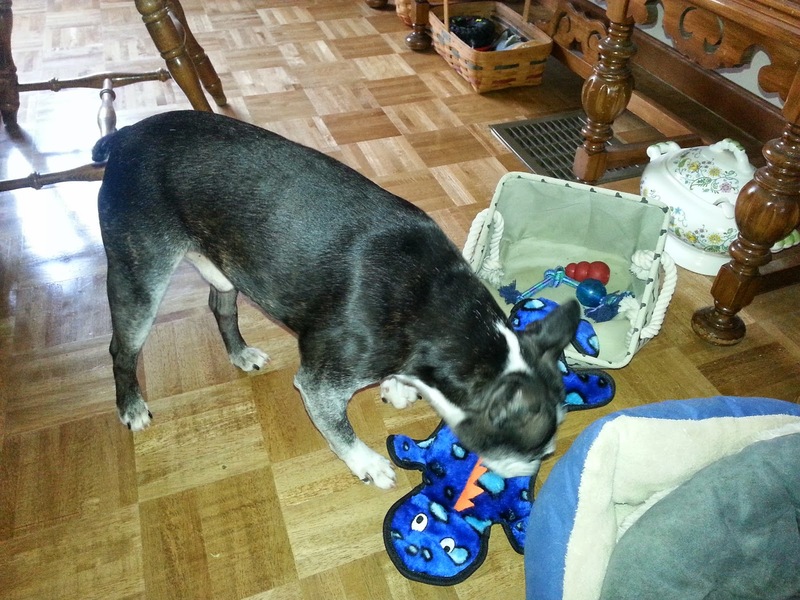 Thank you Meme Lori for the fabulous new bed and food! I'm always a hungry girl and I love soft comfy places to sleep!!! Hugs and kisses to you and Newman!!! Thank you Tara Buon Anno for the fabulous gift box that arrived today! I love Zuke's and I can't wait to try out the bones!!!! 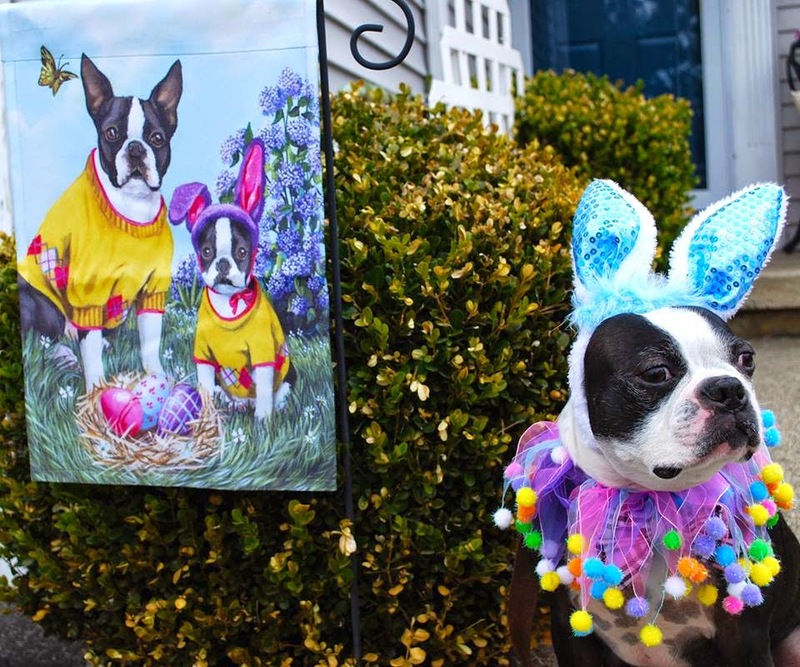 The Easter Bostons would like to wish all of you a very happy Easter. 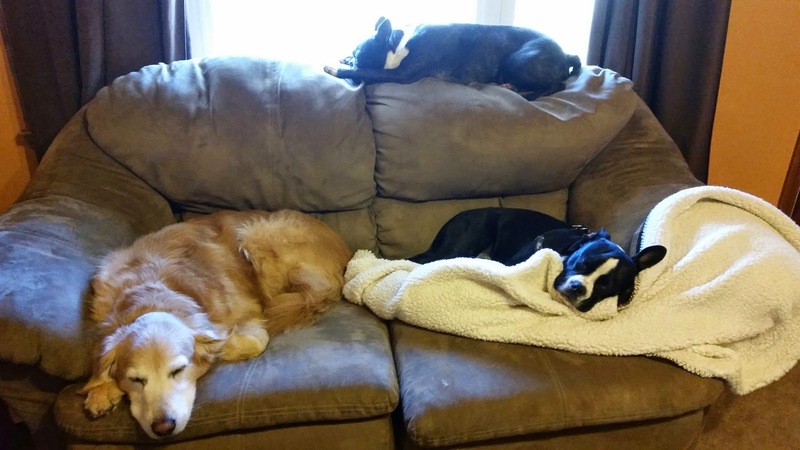 This is a perfect picture of some perfect dogs!!! There are just no words to describe what your Easter basket has meant to both me and Lulu. You are a wonderful angel who sprinkles such wonderful kindness on those who have been neglected and abused. Thank you from the bottom of my heart. 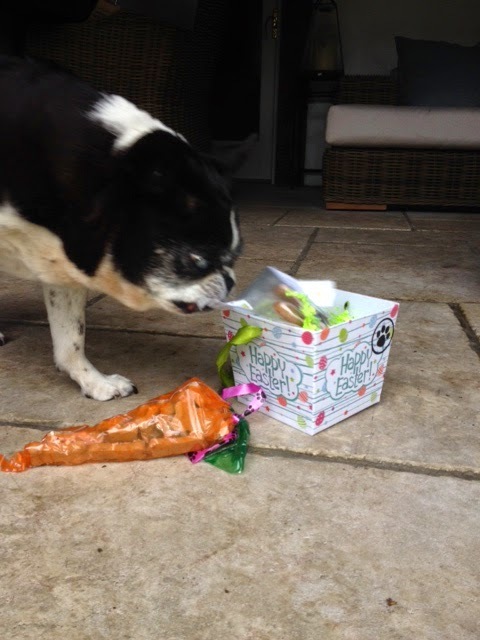 Lulu loves the treats and of course I had to share with my two rescues but I ordered many more from Pooch chef. THANK YOU THANK YOU THANK YOU. 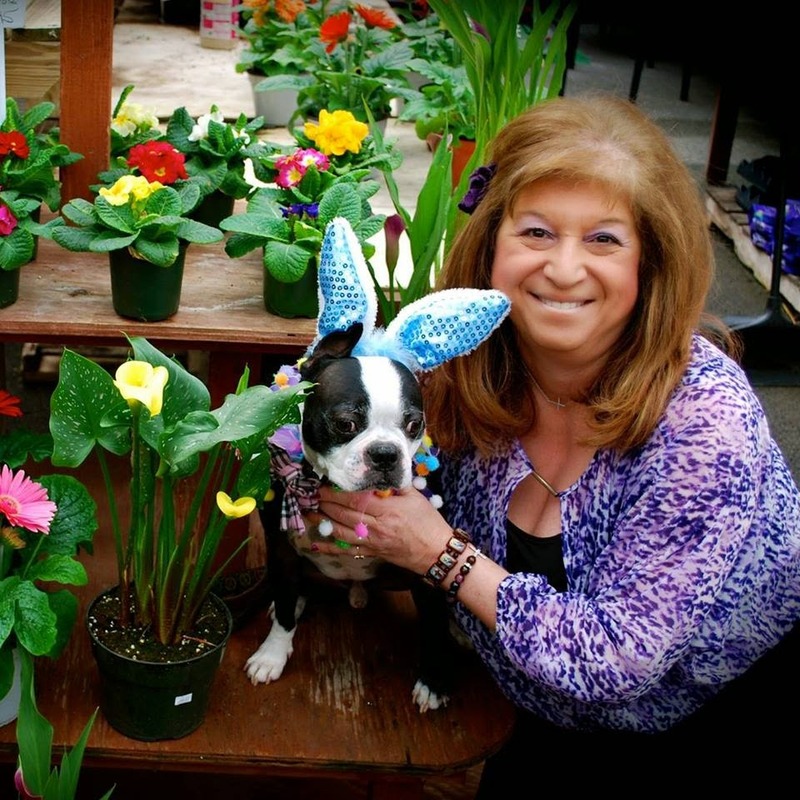 Sharon adds, "Happy Passover and Easter from Lulu the puppy mill girl. I am fostering her and she living the life of a princess after being in a cage for 9 years. Happy holidays from Lulu." 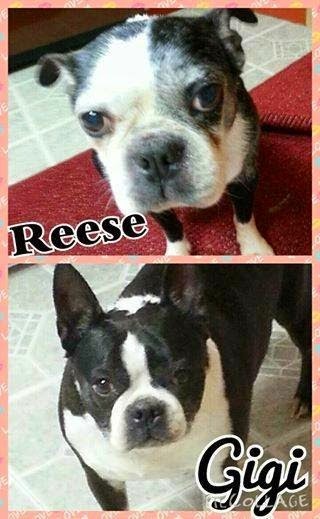 Welcome new fosters Gigi (Gizmo) and Reese. 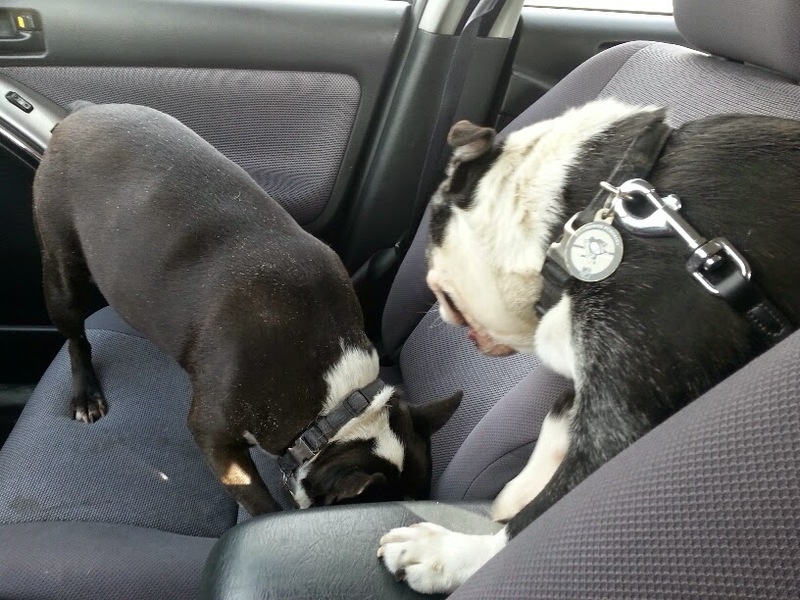 Their owner is very ill and can't take care of them any more. Their foster mom says, "They are here and oh so sweet. Very friendly. More to come once they settle in." Hi new friends. We're Gigi and Reese. 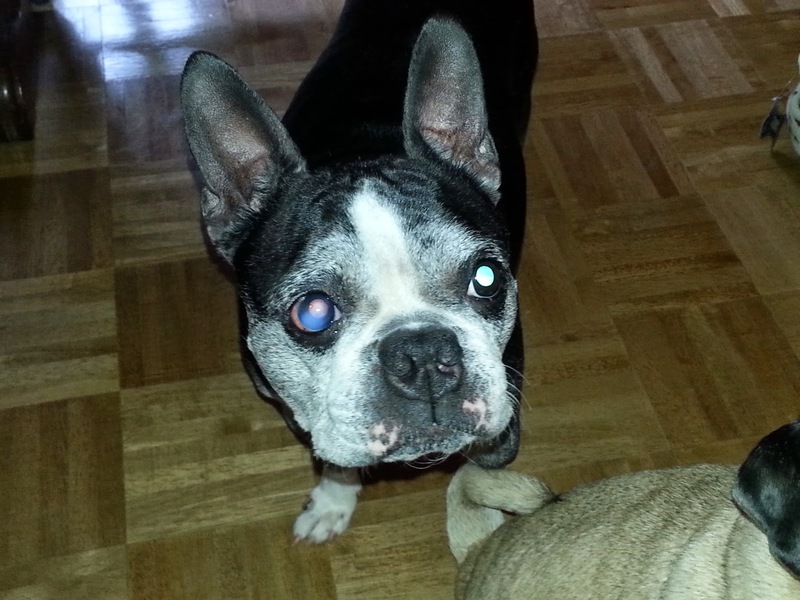 We just arrived a few days ago to our new foster mom Jill's house, and she says we're super sweet. We're a little sad because the human we've lived with all of our lives became very sick, and couldn't take care of us anymore. We miss her, but are feeling very loved and safe here. We are both 9, and will be looking for our forever home soon. Might it be you? We need just a few things to get started here in foster care. If you have a second and a few dollars to spare, we would be so grateful. We will promise to post pics of any presents we get!! We hope everyone has a beautiful day tomorrow, and THANK YOU for sending us happy thoughts and well wishes even if you can't send a physical gift. We love you! 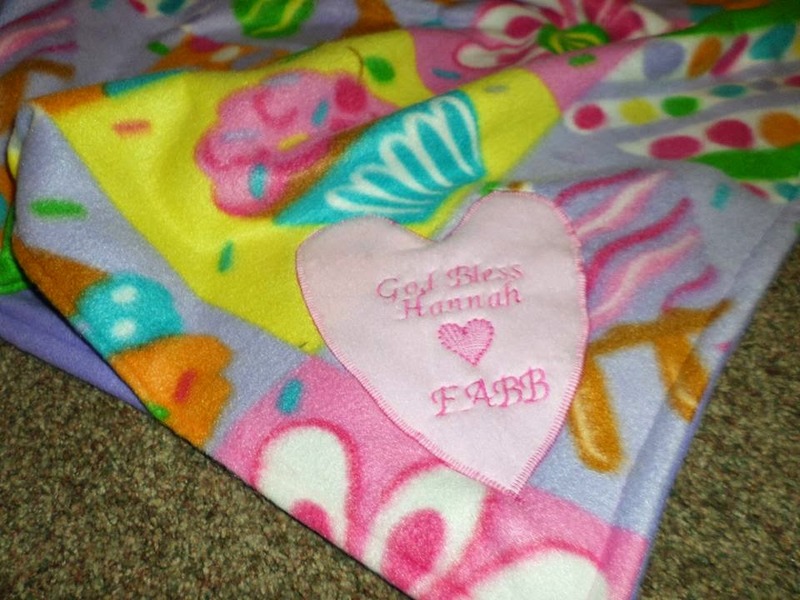 Hannah received her prayer Blanket she went right over to sit on it in her favorite place near the wall. I cannot thank you enough Cathy Gonzales for sending it to her. It's absolutely beautiful I know what I will be putting on the front seat when she goes for rides in the car!!! Until then she can enjoy her blanket in her favorite spot. 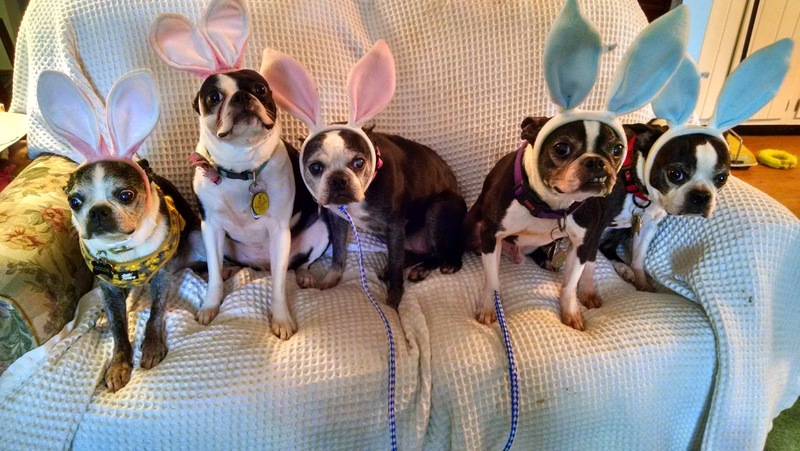 The girls got Easter baskets today. 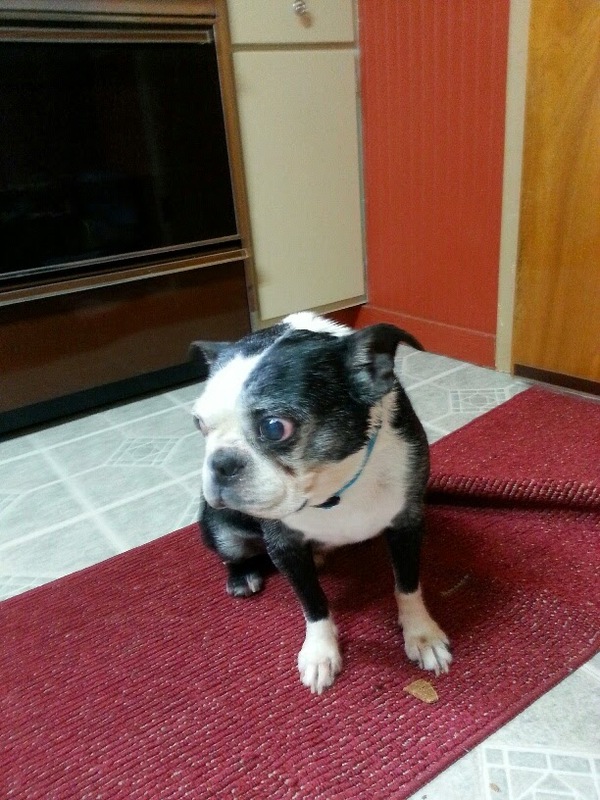 Patsy was scared of hers so I couldn't get a pic but she enjoyed a couple of the cookies a lot! 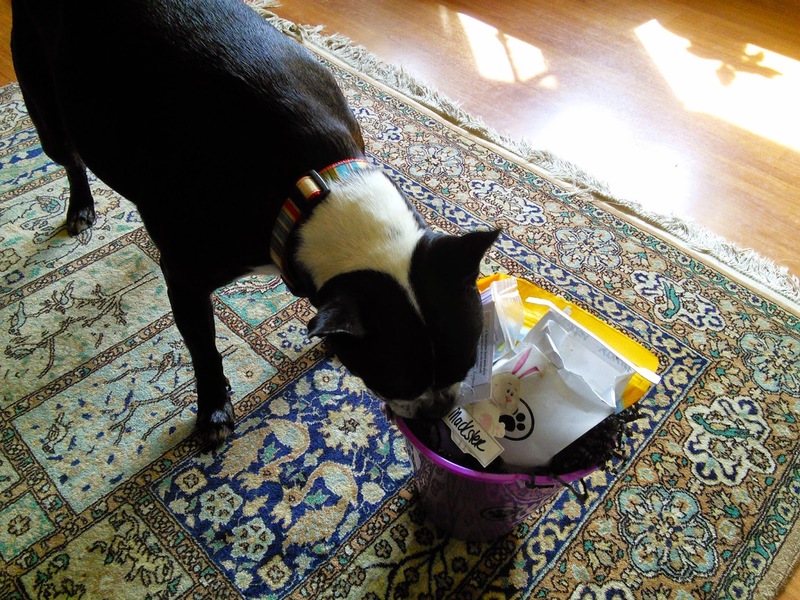 Gidget dug right into her basket! 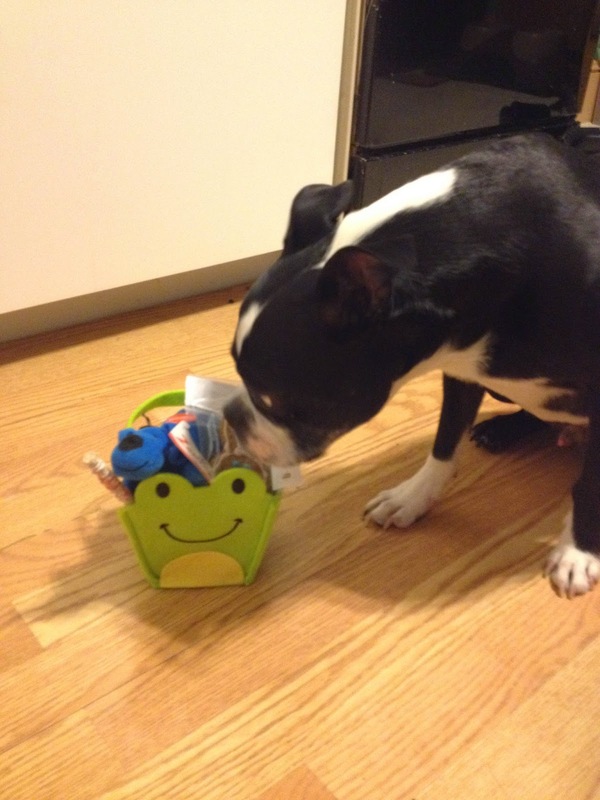 Sully and I would like to thank Tracy Soltesz so much for the Easter basket!! 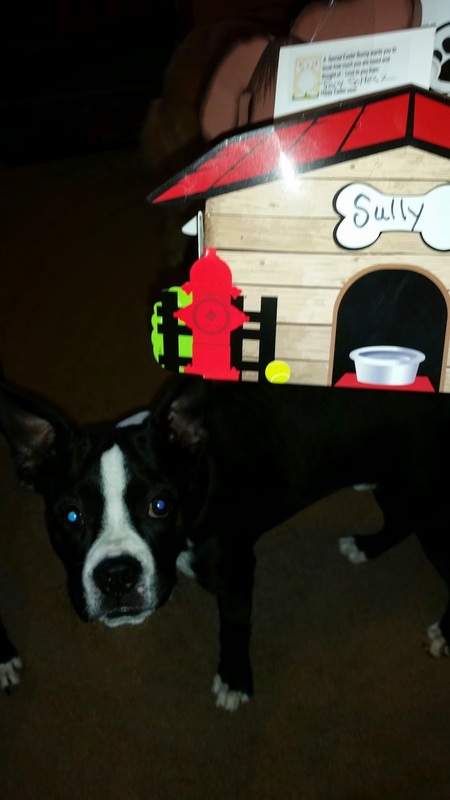 Sully was excited to see what was in the box. 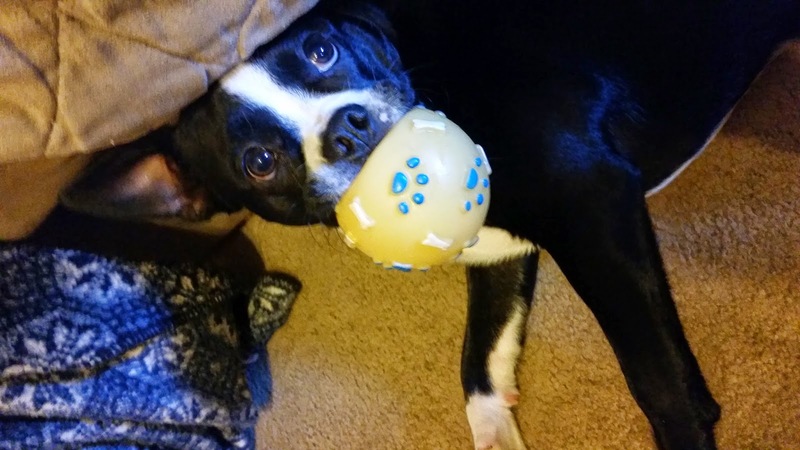 He thinks the treats are delicious and loves the squeaky ball! What a little goofball! He's so cute! !